I say to myself I’ll just have a quick look. An hour passes in a millisecond and I’ve created five new boards. This addiction has opened a world of possibilities. I’ve discovered hundreds of stitches and the most amazing patterns from around the world. What has me obsessed at the moment, and the last few months, is the Star Stitch. Also referred to as the Jasmine Stitch, it creates a beautiful pointed star by working through numerous loops on the crochet hook. I’ve made beanie, coffee cozies and slippers from the stitch and now I’ve added headbands! I wanted a quick project for Christmas gifts and also needed various sizes. So, hubby helped with the maths as I made the headband in 7 sizes. I practised with a variety of yarns and found that they all worked! This pattern is available free via Ravelry and also through the Patterns tab on the website. 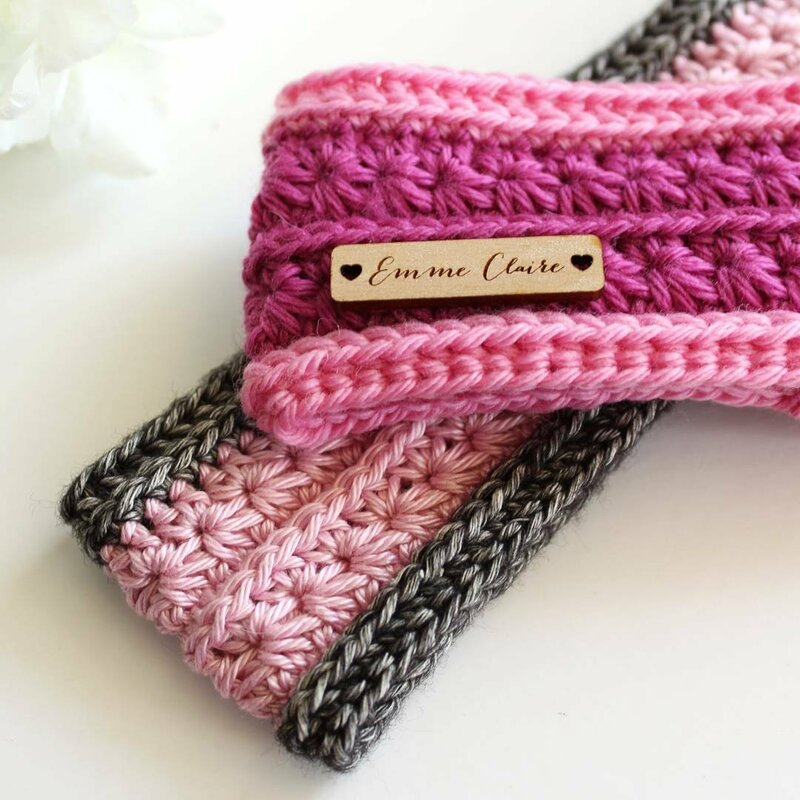 Hi there, I’ve just made one of your headbands and it went great up until the very last row, but I can’t figure out how to do a camel stitch into a row of Single crochet (as I’m typing this I’m realizing that this might be a Canada/New Zealand (?) 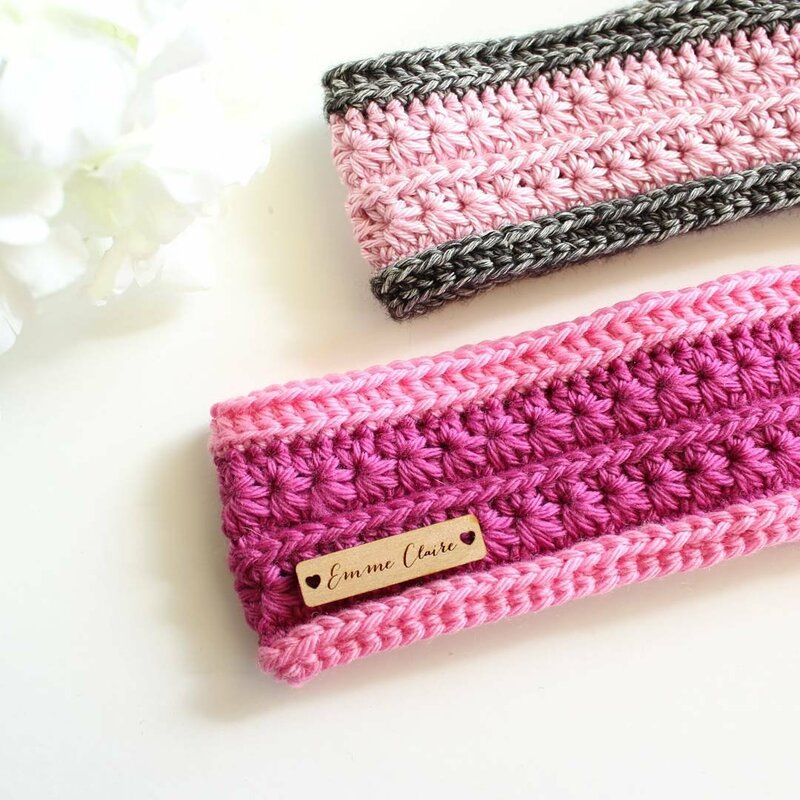 thing…my single crochet might be something different than what you meant?) Anyway, there was no third loop to crochet into at the back and I wasn’t sure what to do… Can you help?